This nutty snack is a sweet and savory mix of crunchy almonds and cashews toasted in organic brown sugar, organic spices and a pinch of organic cayenne pepper to balance the sweet with a bit of savory. Satisfying and addictive, this is a farmers market favorite, now packaged for retail sale. I developed our newest nut mix after the urging of folks who wanted a little "kick" with their Aww Nuts. 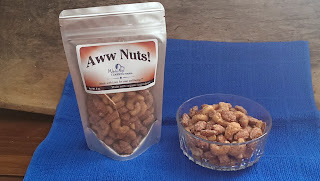 Rather than blast your taste bud away, I opted to add just enough organic cayenne pepper to elevate the flavor of the nuts, providing you with a nice chew as the heat slowly steps up to say "hello." Imagine my surprise once I found that our Slow Burn has become more popular than our Classic Aww Nuts! If you can take a little heat, give 'em a try. You'll be glad you did! 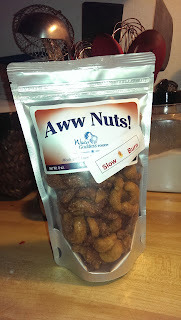 Bought some Awww Nuts Classic at the Linden Hills Market today and they are delicious! I was going to save them for Christmas but no willpower. Also bought the wild rice bread, also a winner. They are good, aren't they? Glad you enjoy our Aww Nuts, Wilma. I guess we'll be seeing you again soon, huh? Hahaha! 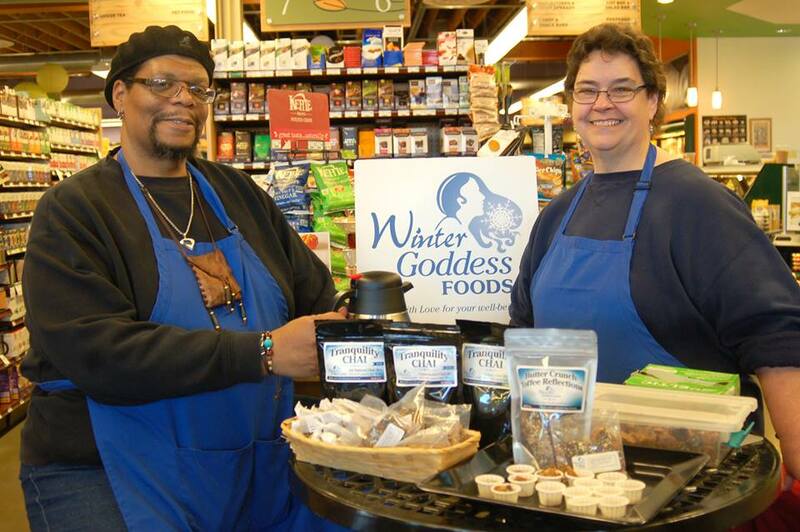 Thank you for supporting Winter Goddess Foods. I brought them to Texas for a winter trip, and shared them at the RV park where I stayed. Needless to say, they were a big hit!